Chronic pain is a very real and debilitating condition for millions of Americans. Lower back pain, neck pain, and arthritis are among the most common sources of chronic pain and the leading causes of disability in the nation. Such conditions not only interfere with a patient’s quality of life but seeking effective treatment can become overwhelmingly expensive and time-consuming. It’s imperative that chronic pain sufferers find a treatment that is capable of bringing long-term relief. For many, radiofrequency ablation is one such option. 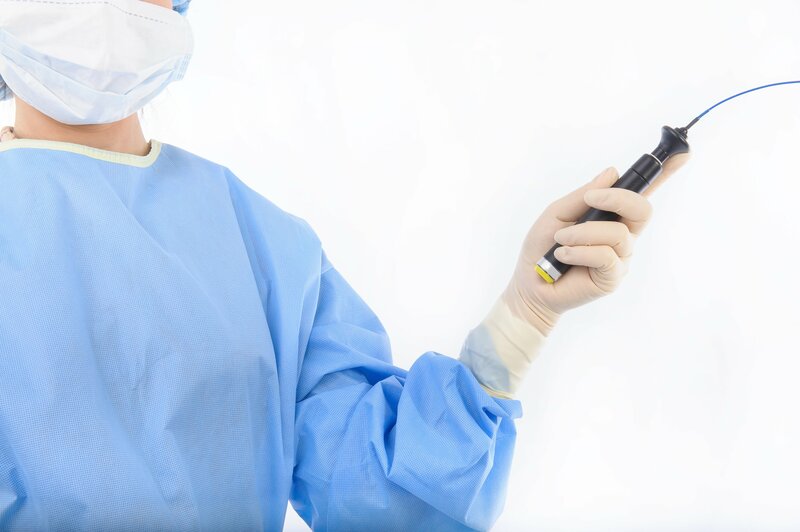 Radiofrequency ablation (RFA) is a minimally invasive procedure used to address the specific nerves involved in a patient’s pain. By using a radiofrequency current to apply heat to targeted nerves, physicians can inhibit their ability to transmit pain signals to the brain. Radiofrequency ablation is an outpatient procedure performed under conscious sedation. After receiving IV medications to aid in relaxation, a patient will lay down on their stomach or back, depending on the location of the targeted nerves. A thin needle is then inserted at the site and a microelectrode threaded through. Finally, the microelectrode is used to transmit a radiofrequency current to the nerve. What Results can I Expect from Radiofrequency Ablation? The recovery time from RFA is brief with most patients returning to normal activity the following day. Potential complications are minimal and include slight swelling, bruising, and discomfort at the insertion site. Best of all, it is proven to be effective for the majority of qualified patients. Over 70% of those treated with RFA report relief from their pain. This relief may last from six to 18 months, and in some instances, relief may continue for years without the need for additional treatment. Thanks to its minimally invasive nature, RFA can be repeated as needed. As is the case with any medical procedure, success depends largely on patient eligibility. An ideal RFA patient is one for whom a physician has been able to successfully provide pain relief with test nerve block injections. These injections can be performed in the physician’s office, take little time to complete, and require no downtime. After having two test blocks performed two weeks apart, patients can then move on to having their RFA procedure. Equally as important as the procedure itself is the practitioner who will perform RFA. Patients should look for a surgeon who frequently performs the procedure, as well as one who is intimately familiar with musculoskeletal pain. Dr. Matthew Neumann of the Bone and Joint Clinic of Baton Rouge is a fellowship-trained Pain Medicine physician with board certifications in both Pain Medicine and Physical Medicine and rehabilitation. He frequently performs radiofrequency ablations with high levels of success and patient satisfaction.